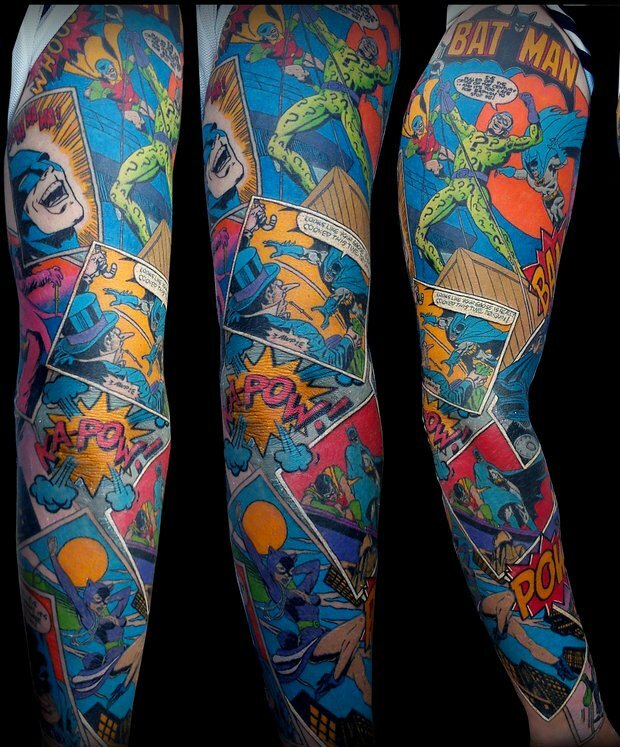 Awesome Batman Sleeve Tattoo: Where Does He Get That Wonderful Ink? There is something about the colors in the older comic books that today’s comics just don’t have. They were bright and vibrant and just jumped off the page in a way that today’s do not. Maybe it was the ink that they used. 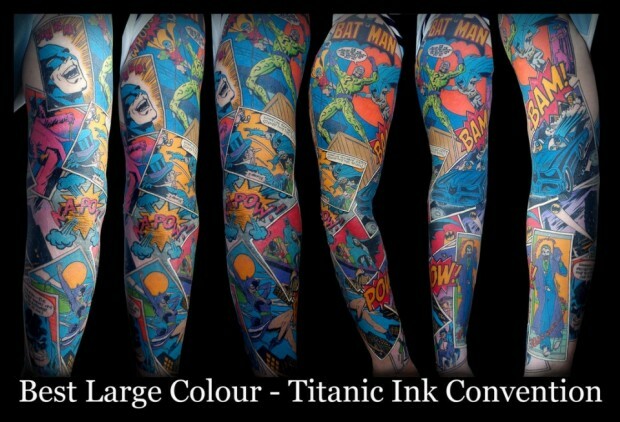 Anyway, this amazing Batman tattoo captures this spot on. This super detailed, full-color tattoo by British artist Ian Hopkins truly brings the classic Batman comic books to life. This is pre-Dark Knight Batman, when the colors were alive and stunning. This tattoo won him a prize at the Titanic Ink Tattoo Convention in Southampton, UK and took him 40 hours of work to complete. Amazing job, Ian!